Composed by Michael Ware. Christian, Contemporary Christian, Sacred, Praise & Worship, General Worship. Lead Sheet, Set of Parts. 5 pages. Published by MusicWare Press (S0.524135). 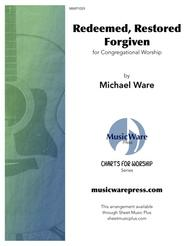 Redeemed, Restored, Forgiven is Michael Ware’s original worship song based on the text of a 19th century hymn. Your congregation will enjoy singing the theologically rich words set to a fresh, yet memorable melody. 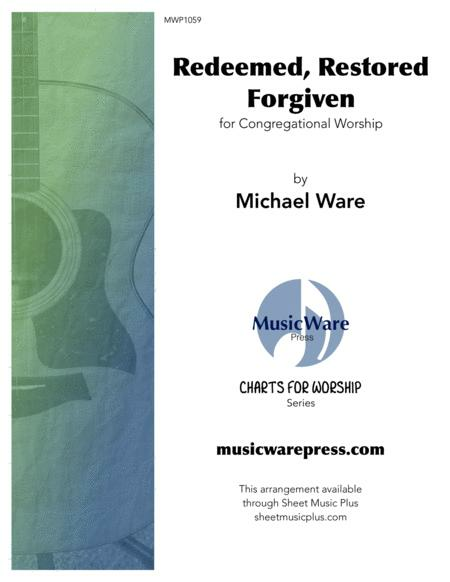 This download consists of leadsheets intended for your worship band. One is the original key and the other a capo version for acoustic guitar.